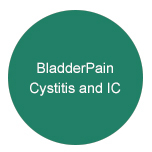 The Bladder Clinic continues to lead the way in specialist care in Bladder Pain Cystitis, Interstitial Cystitis and other Bladder problems. Our Specialists care for men with prostate problems including both benign enlargement of the prostate (BPH) and prostate cancer. 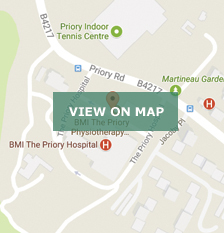 Birmingham Bladder Clinic was founded in 2005 as the first private bladder clinic with team approach to patients with bladder pain, cystitis, interstitial cystitis and urinary leak and incontinence. The Bladder Clinic provides very personal care of the highest standards to all problems related to the bladder (cystitis, bladder pain, interstitial cystitis) in women as well as bladder and prostate disease in men. The Bladder Clinic lead urologist and bladder specialist is Mr Zaki Almallah Consultant Urologist at University Hospital Birmingham and the renowned Queen Elizabeth Hospital Birmingham since 2003. Mr Zaki Almallah is one of the first urologists in the UK to have a very specific interest in the bladder and treats a large number of patients with complex bladder problems, cystitis and bladder pain and interstitial cystitis. For men the Bladder Clinic provides a unique set up with multi-specialist approach for both bladder problems and prostate diseases. Mr Peter Cook the Black Country Specialist in bladder and prostate cancer is the most experienced Robotic Prostate cancer surgeon in the West Midlands. Mr Richard Viney, Consultant Urologist at the University Hospital Birmingham with a broad experience in the management of urological conditions. At The Bladder Clinic, patients with urinary incontinence following prostate cancer treatment can seek advice from Mr Zaki Almallah an internationally recognized bladder specialist for his experience in post prostatectomy urinary incontinence. 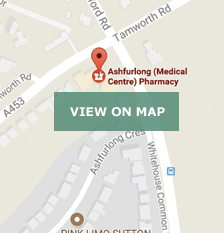 He is one of the most experienced surgeons in the UK in Male Slings and Artificial Urinary Sphincters (AUS). He was filmed by the popular Channel 4 Embarrassing Bodies programme operating the Male Sling and the Artificial Urinary Sphincter for post prostatectomy urinary incontinence in men. The Bladder Clinic offers help to men with Fertility problems (male infertility), azoospermia, and low sperm count. Mr Zaki Almallah is the dedicated Male Fertility (male infertility) specialist at the fertility centres around the West Midlands. The Bladder Clinic sees patients for vasectomy reversal and sperm retrieval with specialised expertise in male fertility (male infertility) and microsurgery (microdissection testicular sperm extraction). To follow a patients journey of having an AUS fitted, please click the above link where you will be able to read a summary or watch an extract from the popular Channel 4 TV programme, Embarrassing Bodies. This addressed the issue of male urinary incontinence and followed Mr Zaki Almallah, Consultant Urologist while operating on Peter, aged 66 to correct his urinary incontinence following surgery for prostate cancer. 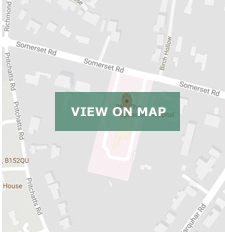 22 Somerset Road, Edgbaston, Birmingham, B15 2QQ.